Each time I’ve gone to Cabo, I’ve had a totally different experience. 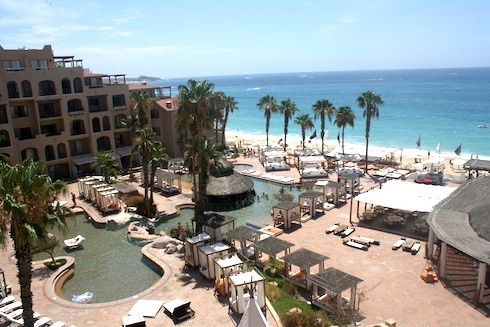 Depending on where you stay, what you do and who you go with – your dream Cabo vacation can take on many shapes. When I visited Cabo with my mom and dad and their friends in a gorgeous vacation villa in Pedregal, we spent most of our time in the private infinity pool, snacking on appetizers made by our private chef and eating at the Office on Medano Beach. 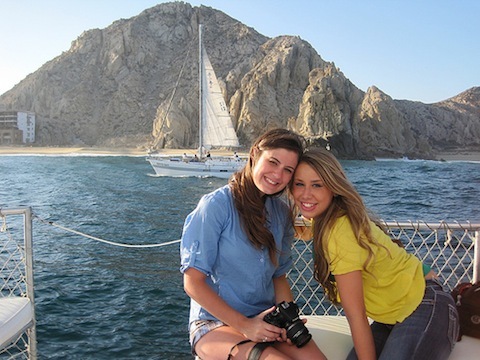 Going to Cabo with my cousin Aleasha was a totally different experience. We learned to surf at the Cabo Surf Hotel, ate at delicious tacos at Las Gardenias and partied in downtown Cabo. Both were lots of fun, so it got me thinking about all of the different types of vacations Cabo can have. I asked the rest of the All About Mexico Staff to help out by sharing their ideal Cabo Vacation. 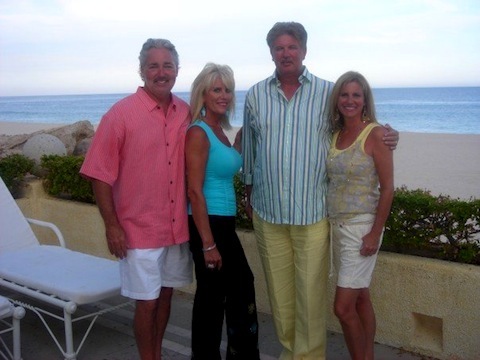 I got some great answers – and we would love to hear about your ideal Cabo Vacation as well! Where Would You Stay in Cabo? Laurie Gourley (Partner and Travel Addict – @allaboutlaurie) – I’d stay in a luxury villa in Pedregal overlooking the Pacific Ocean. Craig Zabransky (All About Puerto Vallarta Blogger and self proclaimed “Mexico Afficinado” – @stayadventurous) – With so many great resorts to chose from in Cabo; the Westin, Pueblo Bonito, and Hacienda Cabo to name a few, it’s easy to have a great vacation. But sometimes I love to escape the crowds. And a forty-five minute drive up the Baja peninsula you’ll find a true desert oasis at Rancho Pescadero. Stuart Brock (Webmaster) – The ME, in the presidential suite (for obvious reasons). Nikki Beach sounds really fun, and the ME just sounds like it has a Miami hotel/atmosphere, which I’m a huge fan of. Robert Gourley (Partner) – In a villa on the ocean. Cara Gourley (Director of Web Content – @allaboutcara) – This is a hard one as I’ve been in a lot of beautiful hotels in Cabo (ME Cabo, One&Only Palmilla, Pueblo Bonito Pacifica, Cabo Surf Hotel are all topping the list). But I would probably say Capella Pedregal. I’ve heard great things and I think that El Farallon is one of the coolest restaurants. I would seriously eat there every night. Carla Fiorito (All About Cancun Blogger) – I’d stay at the ME – I’ve been to the one in Cancun and LOVED IT. What Would You Do in Cabo? Laurie Gourley – I’d drink lots of freshly made margaritas – preferably prepared by my private chef while in a hot tub watching fireworks. Lindsay MacDonnell – Watch surfers ride the waves while sunbathing on the beautiful shores of Playa Acapulquito. Marivic Brook – The One&Only Palmilla has an excellent spa. I would sign up for lots of treatments. I’d also relax, read and lounge by the pool with drinks in hand. And of course party downtown! Craig Zabransky – Mostly nothing, but I’d enjoy wonderful organic meals, speciality sunset cocktails, and afternoon trips to the artist town of Todo Santos. Stuart Brock – Jet Skis & kayaking, along with some ziplining and plenty of beach combing nonsense. Robert Gourley – Play golf and go deep sea fishing. 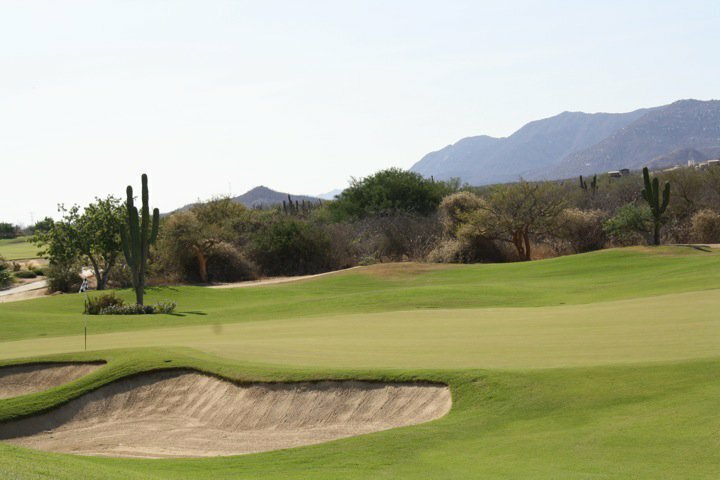 Cara Gourley – I’m not a huge golfer, but I’m dying to play some of Cabo’s golf courses. I love the scenery. And I’d eat at any place I came across. Seriously. There are so many great restaurants and many that I’m dying to try. Carla Fiorito – Anything and everything Cabo has to offer. I’ve never been, so I would definitely do my research before going. Who/What Would You Bring With You to Cabo? Laurie Gourley – I’d travel with a group of friends. My motto is the more the merrier. Lindsay MacDonnell – Nothing but a pair of flip-flops, pair of sunglasses, swimsuit and a flock of friends! Marivic Brook – A great girls only trip. I would take my daughters Sam and Charlotte. Craig Zabransky – My surfboard. With great beach breaks for both novice and experts real close I am sure we’d love tango on those waves. Stuart Brock – All of my friends. There would be many shenanigans. Robert Gourley – My wife and some fishing/golfing buddies. And definitely my golf clubs and plenty of money. Cara Gourley – A group of friends. And I would definitely bring my DSLR along. I love photographing Cabo. Carla Fiorito – My boyfriend! We love traveling and escaping to a new place. So what’s your ideal Cabo Vacation? Please share!